You’ll Have a Set Done Before You Know It! 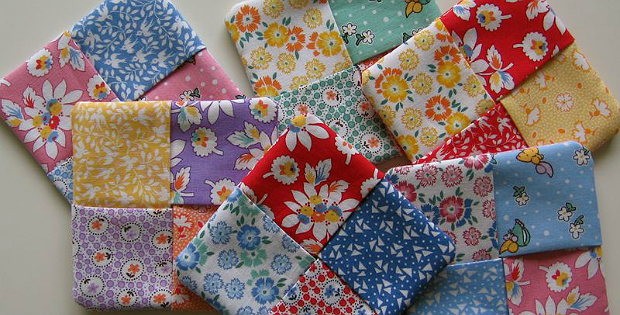 Squares of fabric are folded, layered and stitched together to create colorful coasters. The coasters are super easy to make and go together quickly. 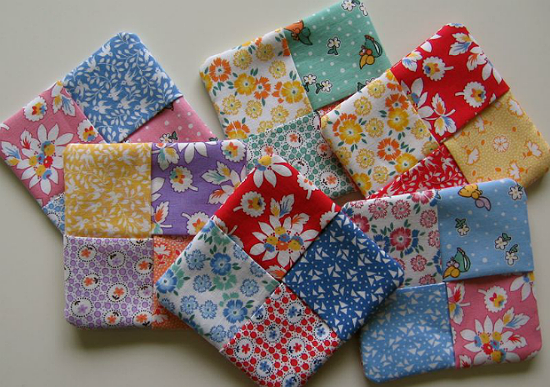 Choose your favorite scraps for a beautiful scrappy set like those shown below. Or choose a color theme for more coordinated coasters like those made by the designer. Whatever you choose is sure to be wonderful. Photo from A Common Woman. These are great gifts, too, so go ahead and make several while you’re at it. The coasters, designed by Jenny Allsorts, are about 4″ square. 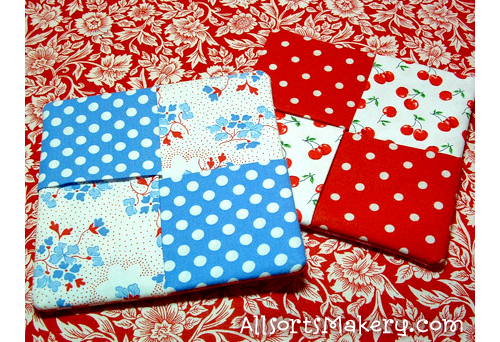 Click here for the free “Criss-cross Coasters” tutorial.